At the beginning of this year, it was estimated that the number of Syrian refugees would hit one million by the middle of 2013. That grim threshold was reached last month, which turned out to be the two-year-old conflict's deadliest month. And, today just six weeks later, there are 1.3 million Syrian refugees. In late March, Antonio Guterres, the UN's High Commissioner for Refugees, told a Congressional hearing that there might be as many as four million Syrian refugees by the end of 2013. Also in March, the UN estimated that there were 3.6 million internally displaced persons in Syria; the UN's Office for the Coordination of Humanitarian Affairs is likely to revise that number upwards perhaps as high as 4.5 million, in the coming weeks. 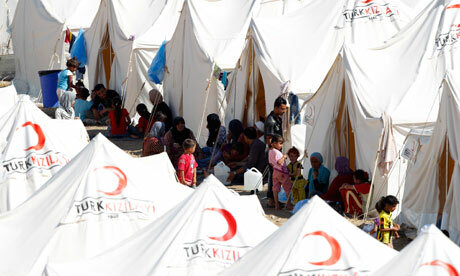 Even though Turkey is currently in the process of building six new refugee camps, on top of the 17 that already exist Turkey's camps can't expand fast enough for all the new Syrian Refugees and, along the Turkish-Syrian border, there are an estimated 100,000 people living between the front lines of the conflict and Turkish border. 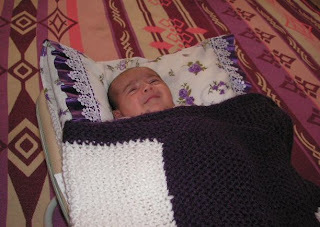 Can you help us provide a little comfort for the children in these camps? Any spare wool you have can be knitted, crocheted or woven into eight inch squares and then we'll stitch them all together into a blanket. 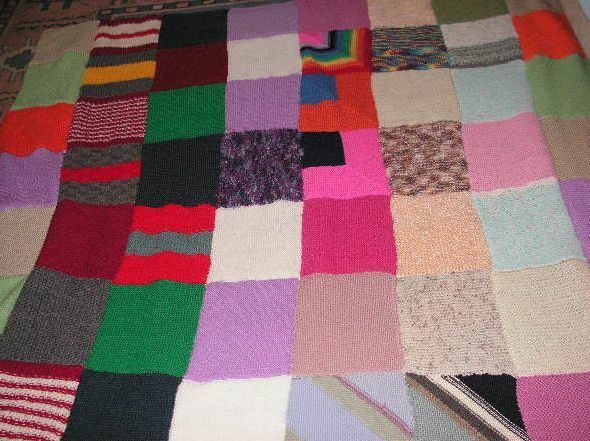 No waste and a child with nothing gets a warm and colourful, cover for their bed! 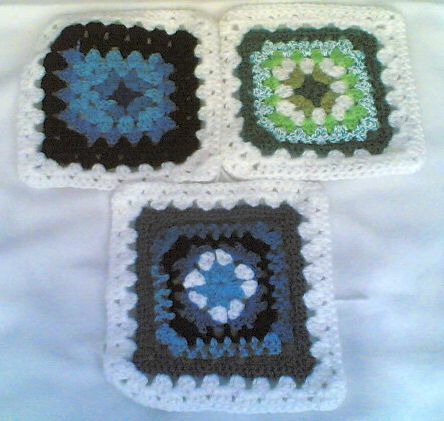 I realise the cost of sending items by post especially to Turkey can be costly which is why we are asking for just 3 squares ( of course we'll also accept more). If you could knit or crochet just 3 squares they would fit easily into an envelope and postage shouldn't be too great!